Inca Kola tastes like magic. What better way to prepare for three months of lounging around than to take a week-long vacation where all you do is lounge around? No need to answer… For the past four summers my family time at the Gray Eagle Lodge has been cut short by my job. Ultimately, going “radio silent” for a week would result in far more work for me when I returned, which I was not a fan of. So, I made sure that this year, with my extended vacation in sight, I would get to indulge in the full Gray Eagle experience alongside my brother, Barry, and mom. Oh, and I should mention her three dogs, because they’re here, too. As I sit here on the eve of our return home, I realize that this was exactly what I needed. Not only did I get a chance to try out my travel clothes (many of which will not be coming with me now that I know they’re total crap), but the seven days of decompression will ultimately help to aid the transition that begins when I step on that plane on Tuesday. Shocker– I can be a bit high strung. Thankfully, wifi was available this year so I was able to continue to get things squared away before my trip (you know, like where we’re going to stay after night 1). While I’m still trying to figure out my health insurance, where to get an international electrical converter, and when I’m going to see my grandmother before I leave, I feel calm, cool, and collected. So on to the highlights of our time here. I shall bullet them, but please inquire if you require additional details or explanation. 2. 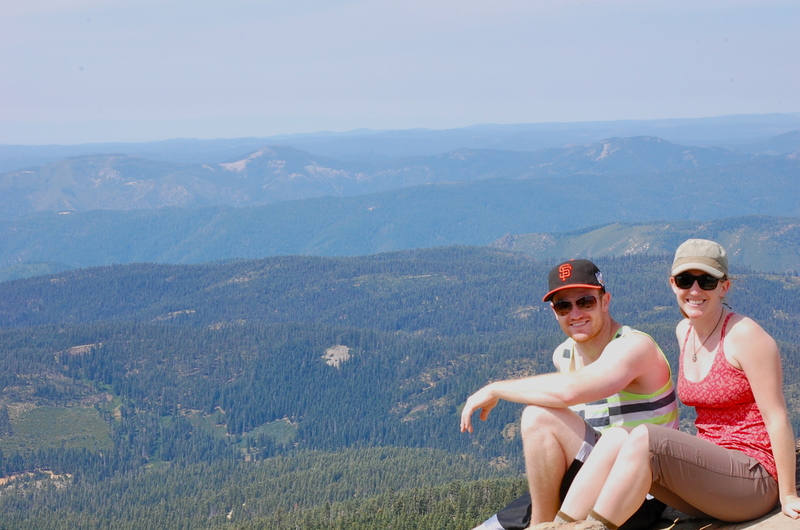 Hiking to the top of the Sierra Buttes for the first time. We’ve been coming here 22 years, but yet I’ve only looked at the things until now. Oh, and did I mention that we got up there in 1.5 hours? No big deal. But it is. 3. Barry taking the most epic facebook profile photo while faux-screaming off of the top of the Buttes. The kid has some anger. 4. Accidentally taking a 7-mile hike this morning without water. Thankfully the dogs don’t have to worry about giardia, or else they would have been S.O.L. just like me along the trail. BTW, it was supposed to be 2 miles RT, but that one accidental left turn really messed with my day. 5. Meeting a classical guitarist, violin/fiddle novice, and 6-string banjo strummer (3 different people) who jammed with Barry on nights 2 & 3. You don’t see that every day. Photos have been added—BOOM. 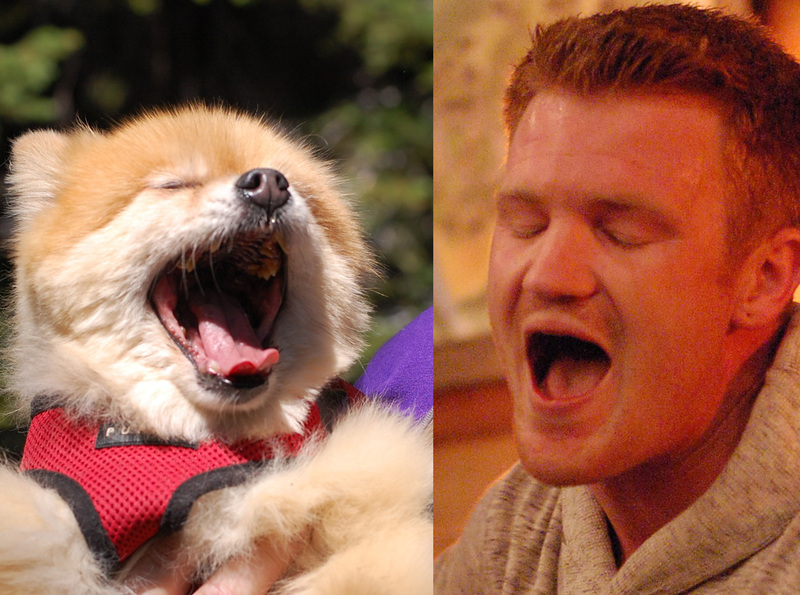 And please enjoy this side-by-side comparison of Barry and his “littlest” sister Foxy. I love you baby! Be safe and communicative on your trip! Oh how have I managed to miss this post until now…including the pic side by side. Nice one.